Morphogenesis, the set of processes that generate shape and form in the embryo, remains a central area in developmental biology. 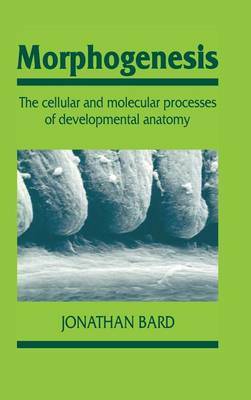 This book, first published in 1990, provides an overview of the events and mechanisms of morphogenesis, reviewing the major molecular and cellular mechanisms underlying morphogenetic change and describing how these processes are integrated during normal development. Most of the major embryological systems, both vertebrate and invertebrate, are discussed, with extensive coverage of the molecular mechanisms of morphogenesis involving the extracellular matrix, the membrane and the cytoskeleton. The major focus of the book, however, is on those properties of mesenchymal and epithelial cells responsible for organogenesis, while the extensive reference cover of the historical and contemporary literature (more than 500 titles) provides a useful research tool in this very wide field. This book is aimed at both scholars in the field of embryology, and postgraduate and final-year students in development and anatomy.